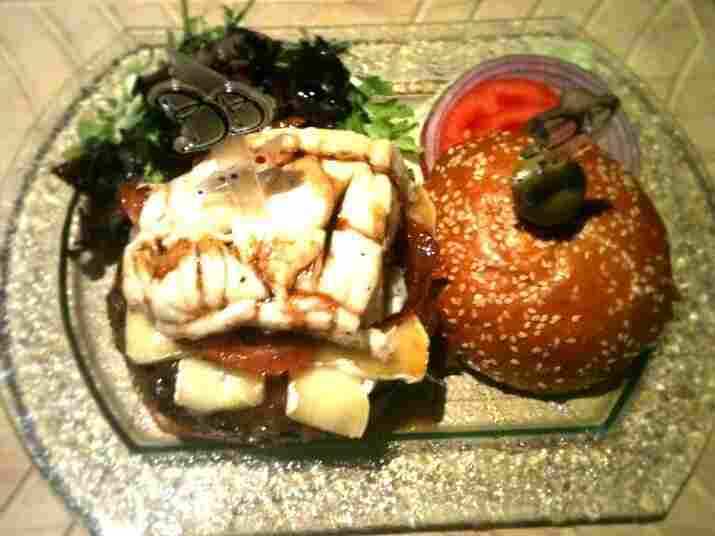 We Eat A Very, Very, Very Expensive Burger. : Wait Wait ... Don't Tell Me! 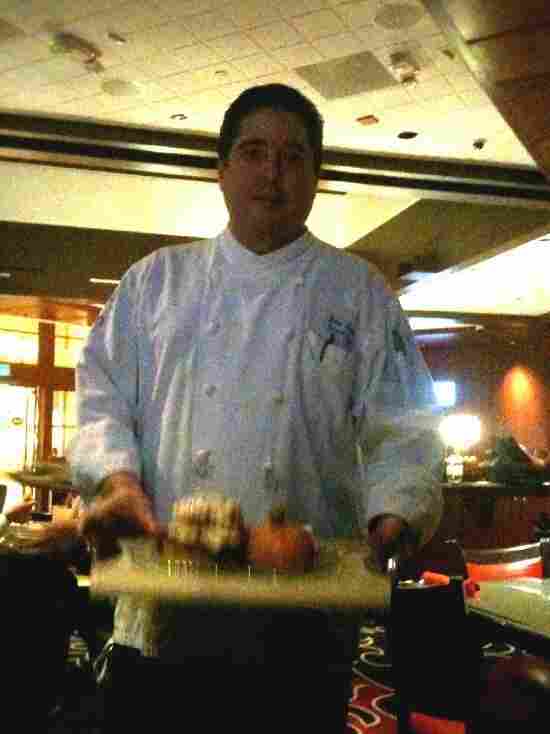 For this week's Sandwich Monday, we eat the ridiculous "$777 Burger" at the Paris Casino in Las Vegas. It costs $777. 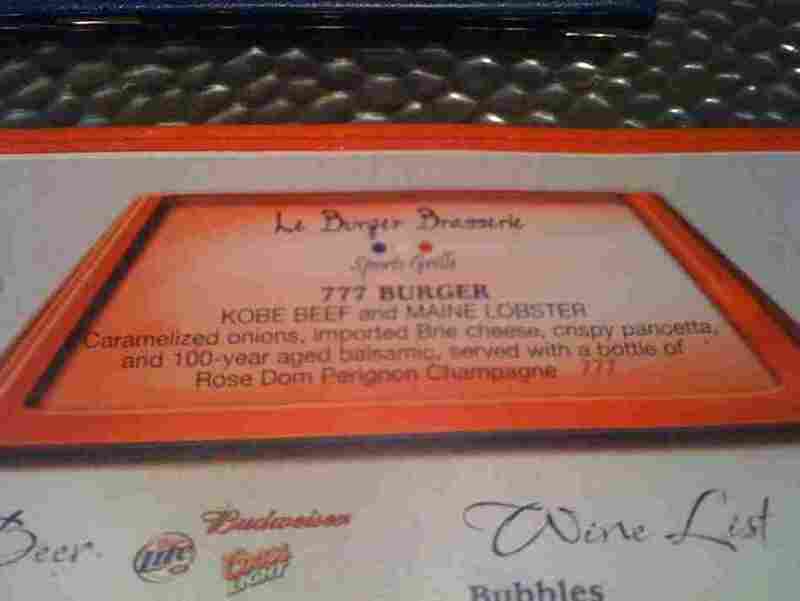 The 777 Burger at the Paris Casino is called the 777 Burger because it is a burger that costs $777.00. It's cost-prohibitive-licious! When I asked if we could try one for Sandwich Monday, they sent me a list of Talking Points about the burger. This is the first sandwich we have ever tried that has Talking Points. Let me make clear we didn't pay for this sandwich. No, we got one thanks to a long Vegas tradition of getting things comped, and I may or may not have made a deal that has Carl performing as a showgirl to work off our debts. We were joined by Hannah Allen of the Paris, who says most of the people who order this just hit it big in the Casino. 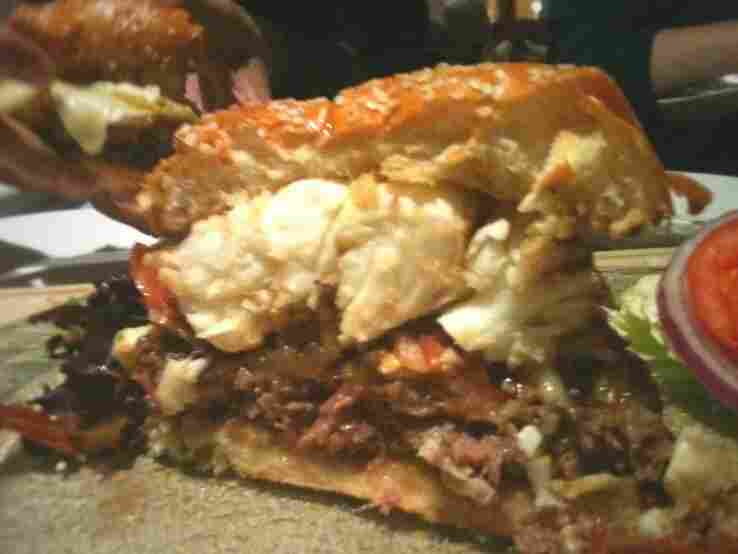 Mike: This may compete with the KFC Double Down for Most Ridiculous Sandwich. 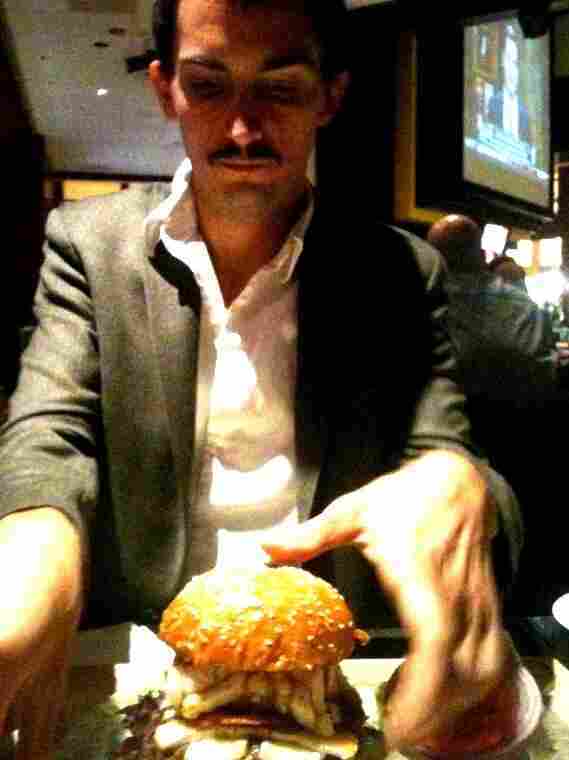 Ian: What you need to do is replace the bun with two Bentleys. Eva: The Happy Meal version comes with a Bentley. Peter: I don't know about the lobster. It seems like it's only there to make the sandwich more expensive. Ian: I believe they steam it in a jacuzzi, so it dies luxuriously. Eva: $777 wouldn't be that expensive, if you just ate a little bit of it every day and that was all you had for the year. Ian: But why doesn't it come with a tiny little man to chew it for you? I feel ripped off. Hannah: They should also give us some way to show off we just ate this. Like an "I Voted" sticker. Peter: So is this Kobe Beef flown over from Japan? Mike: It's actually Kobe Bryant meat. That's why it's so expensive. Ian: The lobster is the king of the sea; the cow is the king of the land. This is the Elton John-Billy Joel Tour of sandwiches. 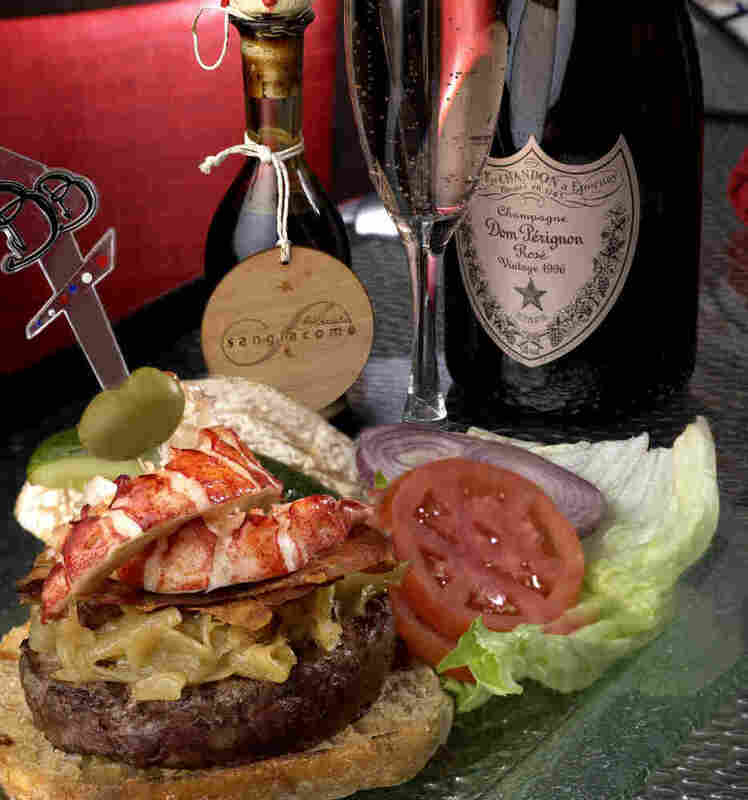 Peter: I just think I'd prefer to eat the burger and lobster serially. Ian: Oh, I thought you were saying you wanted to eat burger and lobster cereal. Mike: They have that, you know.